If you’re in charge of any vehicle, you need to make sure you’re fit to drive and don’t present a danger to yourself or anyone else. As part of this responsibility, you should consider any health conditions that could affect you physically or mentally – from broken limbs and seizures to strokes or the possible side effects of medication. Why does my health matter to my driving? When it comes to driving, safety is obviously the top priority and driving while unfit to do so could have potentially fatal consequences – for yourself, the passengers in your vehicle, other motorists and pedestrians. Furthermore, there are important financial points to consider. You could, for example, face a fine of up to £1,000 if you don’t tell the DVLA about a health condition that could affect your ability to control a vehicle. If your insurer asks if you have notified the DVLA of any medical conditions that may affect your driving, it’s important you answer honestly. Any restriction on your driving will vary depending on the nature and severity of your illness or injury, but we’ve rounded up some of the most common. Can I drive while wearing a cast? 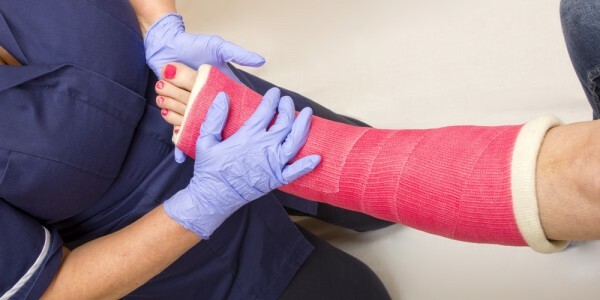 Broken legs, arms and collar bones are among the injuries most likely to hinder your ability to drive as struggling with a cast could affect your freedom to perform day-to-day activities. You’ll need to check with your doctor to confirm if you are able to drive and, if not, how long these restrictions will last. You’ll also need to tell the DVLA if a broken limb means you’re unable to drive for more than three months. To learn more, visit GOV.UK. If you’ve had a seizure of any type and already have a licence, you should stop driving immediately. If your doctor advises you to do so, you will need to advise the DVLA in the change in your health. Depending on the advice given by the DVLA, you may need to inform your insurer if your licence has been revoked or any restriction has been placed upon it. These rules will also apply if you have a previous history of seizures and are applying for your licence for the first time. For more information, visit Epilepsy Action. Can I drive after a stroke? After having had a stroke, you won’t be able to continue driving for at least a month. This is because of any problems you may have with your eyesight, co-ordination, concentration or energy levels. For many people, this restriction will be temporary and it’s wise to speak to your doctor about when it’s safe to return to driving after a stroke. Remember, you may need to advise the DVLA about your health condition if prompted by your doctor. To learn more, visit the Stroke Association. If you’ve been prescribed medication to manage your health, there is a chance this could affect your ability to drive safely. Taking these drugs won’t necessarily mean you can’t drive, but it’s wise to seek medical advice to make sure you aren’t breaking any laws. For more information on the legal driving limits for certain drugs (including alcohol), visit our guide. If you want to drive in the UK, you’ll need to meet the ‘standards of vision for driving’. Should you fail these, you’ll need to wear glasses or contact lenses while in charge of a vehicle. If you can’t meet these requirements, you’ll need notify both the DVLA and your insurance company. In cases of extreme eyesight loss, you could lose your licence and the right to drive in the UK. See the DVLA guide on vision disorders for more information. Unfortunately, there may be certain circumstances in which a health condition means you are unable to drive in the longer term. If this case, you may need to surrender your driving licence (either permanently or until your condition improves). You can do this by downloading the relevant forms from the GOV.UK website. Remember, it’s better to err on the side of caution. If you’re not certain whether a health condition affects your insurance policy, it’s wise to let your insurer know about the possible change in circumstances. If something isn’t relevant, it won’t affect your policy and you’ll still be covered if you need to make a claim. Based on 14650 respondents from the last 6 months. 4879 People had a quote in the last 24 hours. Choose the type of policy that suits your needs from the options below or retrieve a previous quote.